So many wineries, so little time, really. 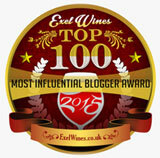 I have personal history with many, many wineries… easily in the hundreds. When I get new queries from wine companies, I do take the time, when I can, and here’s how someone gets my attention. You MUST be a writer’s writer. By writer’s writer I mean, write to inspire. Have already defined your brand’s unique story. Now, you got your first foot in the door. Here’s a great example of an Email that got immediate attention. I’m also in a time warp, where I can’t do something for someone else immediately. So, although summer is now over – I got the email before it was – and I saved this one. (At this point in time, I get so many inquiries that writing for clients understandably comes first. Blog is next, so, people have to be patient with me. 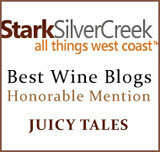 Josh Wine Cellars is located in Rutherford, California. Labor Day usually marks the end to grilling season and while many have perfected the art of the BBQ by this time, the rest of the menu can leave some scratching their heads. Whether the dish is simple and light or rich and flavorful, pairing the right wine is essential for successful summer soirees. 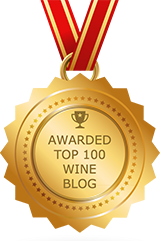 Below are a variety of offerings from Josh Cellars Wine with suggested pairings for your favorite summertime foods. Please let me know if you are interested in receiving samples or more information. Yes, samples, more info, and what do you believe is Josh Wine Cellars’ unique point of view? My Dad’s name was Joseph, as is mine, but his friends just called him Josh. He was an Army veteran and volunteer firefighter. He was a lumberjack, he enjoyed rebuilding and racing stock cars, and he eventually became the mayor of our small town. Most of all, Josh was a devoted husband, father, and my personal hero. Just by going to the site and reading the home page, I got the point of differentiation. Let me condense above and state it as I see it, as a publicist: Uniqueness: As I daily create my honest, hard work, I honor the man I most admire… My namesake, my father. Then, the samples arrived, and they really did over deliver. I got more than the promise, in my opinion. 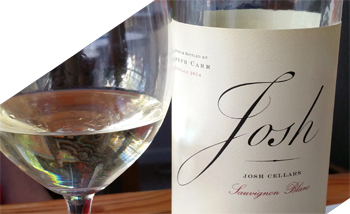 Josh Cellars Sauvignon Blanc… What a wow! The luscious tropical fruit and citrus bouquet was really wonderful. Those aromas also harmoniously became the tasting experience. When you make a great wine, it just speaks for itself, and it’s now clear to me that that’s exactly what Josh… Delivering the commitment he was inspired to do, via his father as his hero. 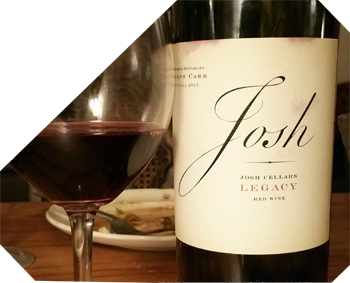 This Legacy Wine is captivating wine blend with rich aromas and flavors. Josh describes this one as “Big, bold and unforgettable, like my dad.” I wish I had also met his father after tasting this one. It kept screaming Pinot Noir to me, with its blueberry flavors. But I don’t have the breakdown, just the personal experience; which really, is good enough for me. 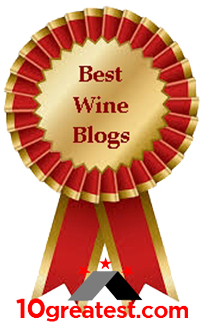 I highly recommend the Josh Cellar wines. They’re delicious, and their marketing is quick and to the point. We can all borrow a page from this playbook, if we also have to send wines to wine writers. The relationships will follow.